: Cost of You Move Me Franchise? How Much Does It Cost to Own a You Move Me's Franchise? Owning a You Move Me service - general franchise can be a lucrative business, but it does have some initial financial requirements. To open a single moving services location, the company requires that potential franchisees have liquid assets of at least $70,000. The franchisee startup costs associated with owning a You Move Me service - general franchise are similar to those of 2 Fellas Moving CompanyLittle Guys MoversLittle Guys Movers. You Move Me falls under the 'business services', 'high capital', 'home services' and 'mobile' franchise categories. Across these multiple categories, it is further subcategorized under 'transportation & moving'. See how the investment level of You Move Me's compares to those of other available home services related franchises. The vision of a world-class, customer-focused moving brand came to entrepreneur Brian Scudamore during his own experience with moving. In today's competitive landscape the moving company cannot afford to be anything but exceptional. A poor experience inspired Brian to add a third brand to his wildly successful group of service-based franchises, 1-800-GOTJUNK? and WOW 1 DAY Painting. Not just another moving company, You Move Me is poised to revolutionize the moving industry the way 1-800-GOT-JUNK? impacted the junk removal industry more than a decade ago. 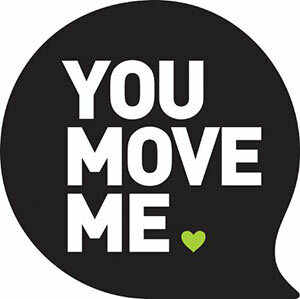 You Move Me may be unprecedented in its 2013 launch of more than 25 franchises throughout Canada and the U.S. overnight, effectively opening for business to 65M people in one day. The You Move Me mission is to move people, not just their boxes. Moving can be a tough, emotional time in peoples lives, and to mitigate the stress, moving professionals must exceed the ordinary standards of their industry and be exceptional. You Move Me's customer experience is that exceptional standard, from the call ahead for the customers coffee order on moving day morning (coffee machine is packed, right? ), to the housewarming plant we leave behind as a reminder of the experience. From the exceptional care that goes into moving people into their new home, to the fun kids will have with the cool wardrobe box that doubles as a play fort. You Move Me makes 4 quality promises to their customers on-time service clean, shiny trucks friendly, uniformed movers and up-front rates. Specializing in local moves, You Move Me is a full service moving company that provides options for their customers including a packing service, a moving service, and a packing supplies only option. You Move Me is not currently accepting new franchise inquiries through this site. Please see our comprehensive directory for currently available franchises near you.